There are a million reasons to love Ellen DeGeneres. She’s hilarious. She’s charismatic. She can out-dance anybody out there, and she’s pretty much the best talk-show host this country has ever seen. But above all this, DeGeneres’ amazing generosity is what makes us hold her near and dear to our hearts. 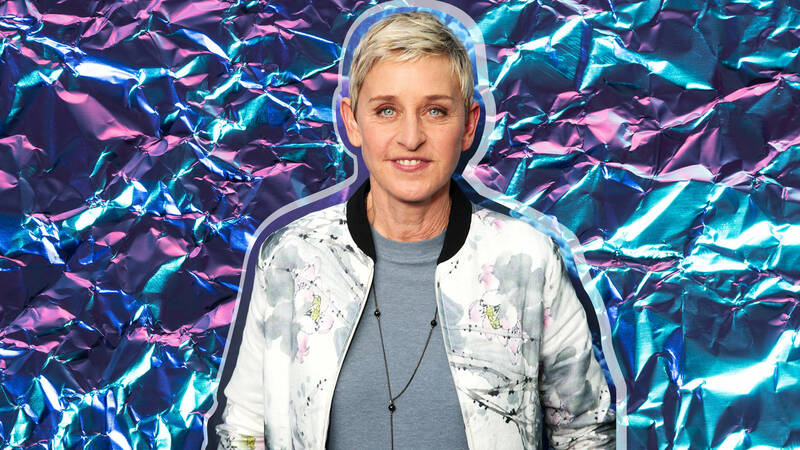 Whether it’s donating $1 million to recovery from natural disasters like Hurricane Harvey or full-ride scholarships to deserving teenagers, it’s hard not to love what DeGeneres is doing with her platform. Here are just a few of the many, many surprising and inspiring moments when DeGeneres changed lives. In January 2018, after a Southern California fire burned over 281,000 acres in the largest fire in modern California history, Portia de Rossi and DeGeneres donated more than $14,500 in gift cards and appliances to Redlands Fire, one of many fire teams deployed to the area. In November 2017, DeGeneres pledged to donate money to the David Sheldrick Wildlife Trust every time someone tweeted #BeKindtoElephants after a White House policy lifted the ban on importing elephant hunting trophies back to the United States. DeGeneres was also able to secure a donation of $100,000 from Shutterfly toward the trust. Ellen had already teamed up with Walmart to give Summit Academy $25,000, but she brought the whole senior class back to give them $1.6 million from Walmart toward college — her biggest gift to date. Walmart had already donated more than $20 million toward Hurricane Harvey recovery, but the company added an additional $1 million directly to J.J. Watt’s relief fund thanks to Ellen. DeGeneres and Spears both hail from Louisiana and gave back in a big way after the state experienced devastating floods in 2016. Spears donated a $125,000 emergency-response vehicle, while DeGeneres sent a $125,000 gift to a middle school for rebuilding efforts. Before DeGeneres helped out Spain Elementary School in Detroit, the building was decrepit and the students were relying on archaic technology to learn with. Things were so bad, in fact, that most of the kids didn’t even have books. That all changed when DeGeneres and Lowe’s donated over $500,000 to help to rebuild the school. On top of that, Justin Bieber appeared on the show and offered $1 from every one of his tickets sold to Spain Elementary. DeGeneres so kindly offered to set Reynolds up with $25,000 for the Make-A-Wish Foundation if he stepped into her studio dunk tank. That’s what you call a win for everyone. Sgt. Chad Sparks and his wife, Ashley, had a newborn baby. Yet, medical expenses made the small family penniless. We learned that Sparks was injured in Afghanistan during his first deployment, yet here he was about to be deployed a second time, leaving his wife and baby behind with no money. Ashley wrote in to DeGeneres telling her they had to sell the baby’s things as well as their own (appliances, coffee pot and even parts of their car) to feed themselves. DeGeneres and country singer Dierks Bentley said they couldn’t allow that to happen and gave the Sparks a check for $50,000. You are likely one of the 3.3 million people who retweeted DeGeneres’ famous Oscar selfie featuring Jennifer Lawrence, Bradley Cooper, Meryl Streep, Brad and Angie, Kevin Spacey, Julia Roberts, and for no apparent reason, Lupita Nyong’o’s brother. Since the photo was taken with a Samsung phone, Samsung agreed to donate a dollar for every retweet to the charity of DeGeneres’ choice. She chose two: St. Jude’s Children’s Hospital and The Humane Society, so Samsung gave each charity $1.5 million apiece. DeGeneres received a letter from Amy Phillips of Rigby, Idaho, who said that in a crushing economy, and with seven kids, she often hasn’t enough money for food. With a steep mortgage and car payments, she and her husband can’t stay above water. She realized that with Christmas coming, she wouldn’t have anything left to put gifts under the tree for her children. While DeGeneres likely gets more letters than Santa, she gave the Phillips family $28,000 worth of stuff for Christmas. She gave them everything from her 12 days of Christmas list, which included iPads, TVs and generous gift certificates. Not only did DeGeneres give, she told us about others who were doing the same. In January 2015, we learned of Mason Wartman. Wartman quit his job on Wall Street to move home to Philly and open a pizza shop. One day, a customer came in saying he would like to “pay it forward” by buying a slice for the homeless man sitting outside. The next customer wanted to do the same and so on and so on. Wartman decided to allow customers to buy a slice for a hungry person by putting a post-it on the wall with their name on it. When a hungry or homeless person came in, they could pay for a slice with that post-it. By the time DeGeneres featured him, he had given away 8,500 slices in the nine months the program was underway. After being on DeGeneres’ show, Wartman’s story went viral and by June 2015, he had given away more than 23,000 slices. Helping a person here and there was great. Giving to charity and families in need was even better, but do you know what was the very best? Dedicating an entire season to helping viewers in need, and that is what the The Ellen DeGeneres Show did in Season 10. It would be too much to tell you story after story of DeGeneres’ generosity that year, so I will narrow it down to one heartbreaking story. Kim Ledbetter is a single mom from Birmingham, Alabama, who not only has her kids but is raising a niece. Kim was laid off a year and a half earlier and has been struggling to find work. All they wanted was a new microwave since theirs had broken. DeGeneres did give them a new microwave, but it had $20,000 inside. The family was knocked off their feet and grateful…and then DeGeneres gave Kim and her family a brand-new car. Not only does DeGeneres regularly feature dogs in need of homes and people who have risked their own lives to rescue animals, a visit to the DeGeneres TV show page reveals that the bulk of her charitable giving goes to these most vulnerable creatures. Her current effort is for the Gentle Barn, a home and hospital for abused animals, which has received millions from her and from her viewers. DeGeneres and her wife, Portia, have adopted two cows, named Holy and Madonna. She gives us regular cow updates on her show. DeGeneres also is an advocate for local dog rescues, Farm Sanctuary, saving elephants and seals along with dozens of other charitable efforts for animals. DeGeneres likes to give to existing charities rather than start her own. But she couldn’t resist when actor Ben Affleck asked her to help him create the American version of the Small Change Campaign, a charity that has benefited children in Germany and Southeast Asia since 1987. This particular campaign funds Feeding America, the nation’s leading domestic hunger-relief charity. Determined to end hunger in America, DeGeneres and Affleck ask that you give to others by donating spare change through Coinstar machines. That moment happened at the 2016 People’s Choice Awards. In her speech, DeGeneres said that, “kindness is an innate quality,” and that we all need to “be kind to one another.” So, as part of the humanitarian award, DeGeneres had the opportunity to select one charity to receive a $100,000 donation from Walgreens. She chose a charity that she has been a part of for many years, St. Jude’s Children’s Research Hospital.